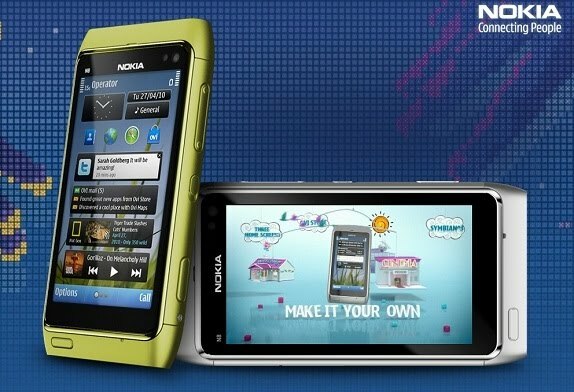 TechSpot: Nokia N8 released, with 12 MP camera and HD video. Nokia N8 released, with 12 MP camera and HD video. Nokia, the world’s leading cell phone maker unveiled its flagship N8 smart phone, after the last high-end hit phone N95, which was unveiled in 2006. N8 will have added features like the new Symbian 3 software and it looks like the Motorola Devour and has a 3.5-inch OLED, capacitive touch screen, a 12 megapixel camera with Carl Zeiss optics, Xenon flash and a large sensor that rivals those found in compact digital cameras and HD-quality video with Dolby Digital Plus surround sound by plugging into home theatre system. It consist all of the fun things like access to Web TV services that deliver programs, news and entertainment from channels like CNN, Entertainment, Paramount and National Geographic. The N8—a bar-raising, iPhone-sized device the truly exceeds any of the handset maker’s previous offerings. For one, the N8 is the first Nokia phone to run the Symbian 3 platform, which brings with it gesture support for things like multitouch, flick scrolling and pinch zooming. Second, there’s also a 12-megapixel camera with a Carl Zeiss lens, as well as the ability to capture and edit—on device—high-definition video footage. Thirdly, Ovi Maps, for free walking and driving navigation, is included, and (benefit No. 4) so are the types of social networking perks that top the feature lists of most phones. Along with the N8, Nokia has introduced a new software environment called Qt—which, in beta form, is now available to developers. It will go on sale in mid 2010 and retail for $493, excluding subsidies and taxes. The Indian price for N8 will be around 23000 INR. Opera 10.52 released for Mac platform.